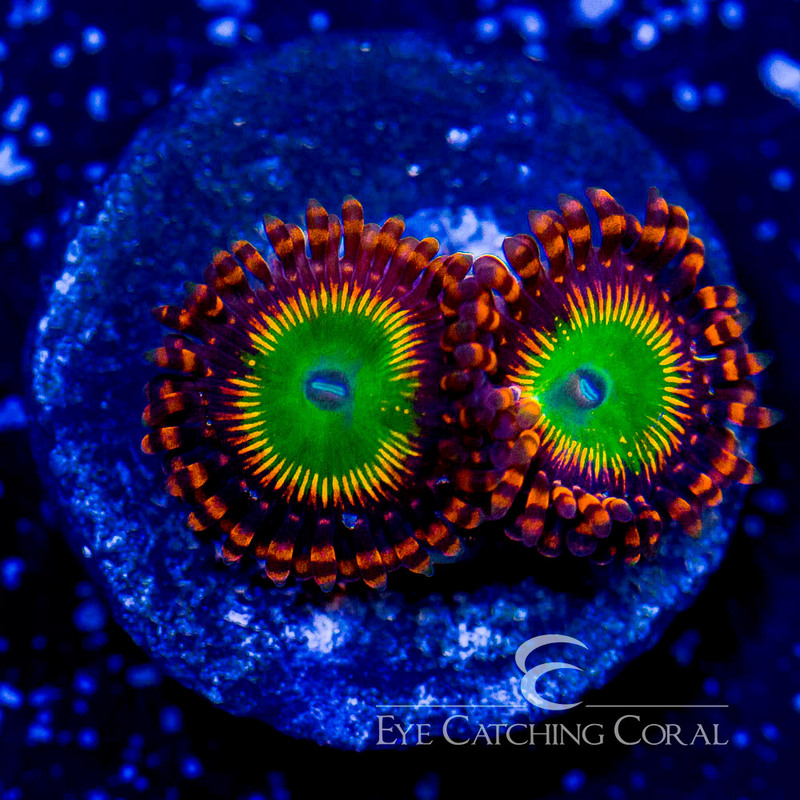 ECC Bowser Zoanthids are an extremely bright collectors zoanthid. 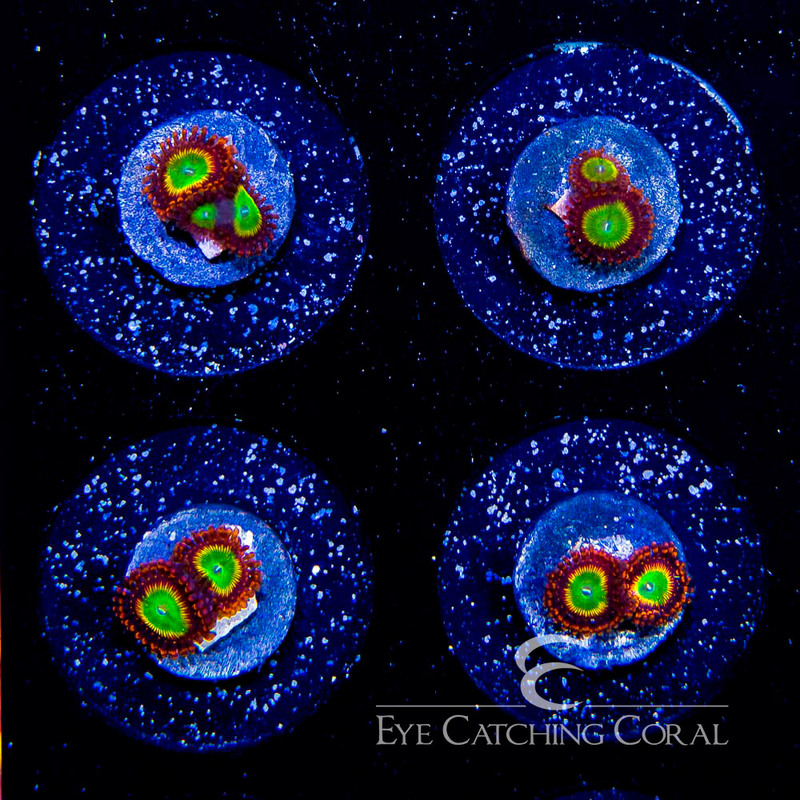 They have an oral disc that is mainly green with half orange and red streaks on the outer edge that radiate out toward the tentacles that have red stripes on them. We got this zoanthid from Dynasty Corals at Reef a Palooza California 2018.